What is Progressive Multifocal Leukoencephalopathy? The cause of progressive multifocal leukoencephalopathy is primarily attributed to the JC virus. This is a type of poliomyelitis virus that is already present in the body, but becomes pathogenic when the immune system is very low and is unable to handle the viral infection. This is further proven by recent studies that show 30%-50% of the general population had been exposed to or infected by the JC virus and they had formed antibodies against the JC virus with even 1/3 of the population showing no symptoms of the infection. This indicates the viral infection is only fatal for people with severely weakened immune system, such as those under long term corticosteroid therapy, people with AIDS and cancer patients. Different pharmacologic agents are also found to further contribute to this disease. Studies have found a connection between the use of monoclonal antibodies and the occurrence of progressive multifocal leukoencephalopathy. Medications with monoclonal antibodies such as natalizumab, efalizumab (Raptiva) and rituximab (Rituxan) are seen to predispose a person to developing progressive multifocal leukoencephalopathy. Monoclonal antibodies are used to treat cancer and autoimmune disease. In the case of cancer, monoclonal antibodies are employed to specifically target the cancer cell and stimulate an immune response to destroy it. On the other hand, in an autoimmune disease, monoclonal antibodies can be used to suppress or control the over activity of the immune system that causes the autoimmune destruction of the body’s own organs or systems. Though monoclonal antibodies exert a significant effort in boosting or controlling the immune system, its effect on the brain tells an opposite story. Recent studies have found that monoclonal antibodies seem to halt the immune mechanism of the brain leaving it vulnerable to certain infections. These medications seem to suppress T cell, B cell and lymphocyte activity in the brain; these immune agents protect the brain from possible infections by controlling and killing the potential pathogens. Because the medications suppress their activity, there is nothing to control the spread of pathogens, and this leads to fatal infections as seen in progressive multifocal leukoencephalopathy. Symptoms of the disease occur in a quick and progressive manner. The symptoms stated above also resemble other more common neurologic conditions such as stroke, encephalitis or meningitis that is why it is crucial to immediately diagnose the condition and know the patient’s health history in order to delineate it from other acute conditions. To diagnose progressive Multifocal leukoencephalopathy, a DNA sample of the JC virus is taken from the cerebrospinal fluid. The cerebrospinal fluid (CSF) is a clear fluid that surrounds the brain and the spinal cord. In cases of infections, the CSF usually contains a number of these bacteria and viruses. To know if the neurologic condition is indeed caused by the JC virus, a sample of the CSF is taken where the DNA of the virus is extracted for verification. DNA sample can also be acquired through a biopsy of the brain tissue. In this procedure a small sample of the brain tissue is acquired and studied microscopically for the presence of the JC virus. This is another way to diagnose progressive multifocal leukoencephalopathy (PML). 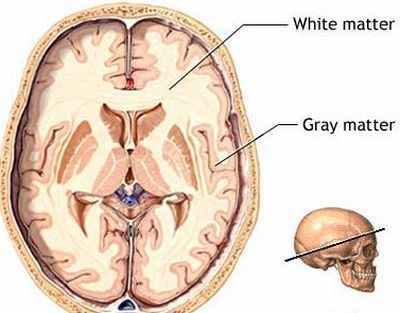 An MRI gives an accurate image of the brain and the damages caused specifically by the PML. If MRI images show non-enhancing, multifocal lesions without mass effect, then the diagnosis for progressive multifocal leukoencephalopathy becomes evident. An EEG is also done to a patient suspected of having PML. This test is to evaluate the patient’s brain function and if there are any abnormalities present. Taking blood samples and urine is done to test for the presence of the JC virus. High concentrations of the JC virus in the blood or urine may indicate an ongoing infection. Still, there is no known cure for progressive multifocal leukoencephalopathy. Some cases of PML resolve when the patient’s immune system improves, in cases of AIDS patients improvement of PML is seen with HAART or highly active retroviral therapy. Though there is no single cure for this condition, the following treatments are seen to improve and increase the survival rate of patients. Interleukin-2 and cidofovir are antiviral drugs given to PML patients, these drugs act against the virus, destroying it and preventing it from reproducing. A chemotherapeutic drug used for cancer treatment but is seen to improve PML patient’s neurologic condition. According to results from clinical trials, this drug is seen to stabilize the neurologic condition of PML patients. in one case, it is seen to help a patient regain some cognitive function that was lost due to PML. An antimalarial drug is seen to eradicate the JC virus and prevent neurologic deterioration. After diagnosis, a mortality rate of 30-50% occurs in patients with progressive multifocal eukoencephalopathy. But this is still dependent on the patient’s overall health, the treatment he/she receives and the underlying conditions that are present. Patients who survive the disease can have neurologic disabilities, in which some cases are severe.